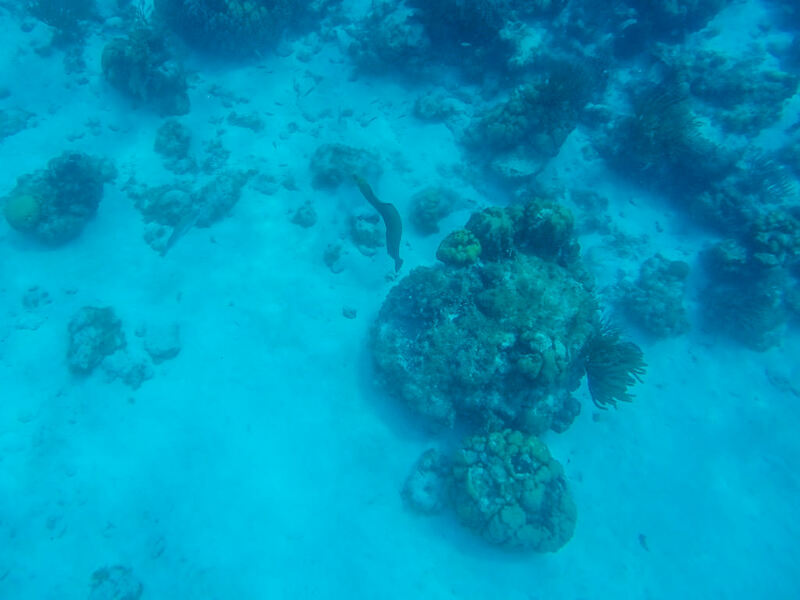 First, the MesoAmerican reef photos. Then, the cold hard facts. If you live on this planet, you’ve heard of the Great Barrier Reef, and probably know it’s located off the coast of Australia. 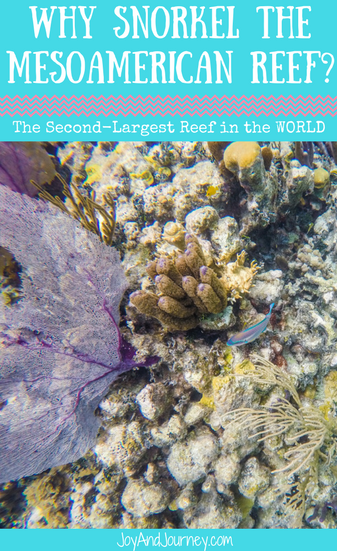 You might even know it’s the largest barrier reef in the world (hence, its name). But what about the SECOND biggest barrier reef in the world? If you’re an American, it’s a lot closer to home, but somehow — much less well known. 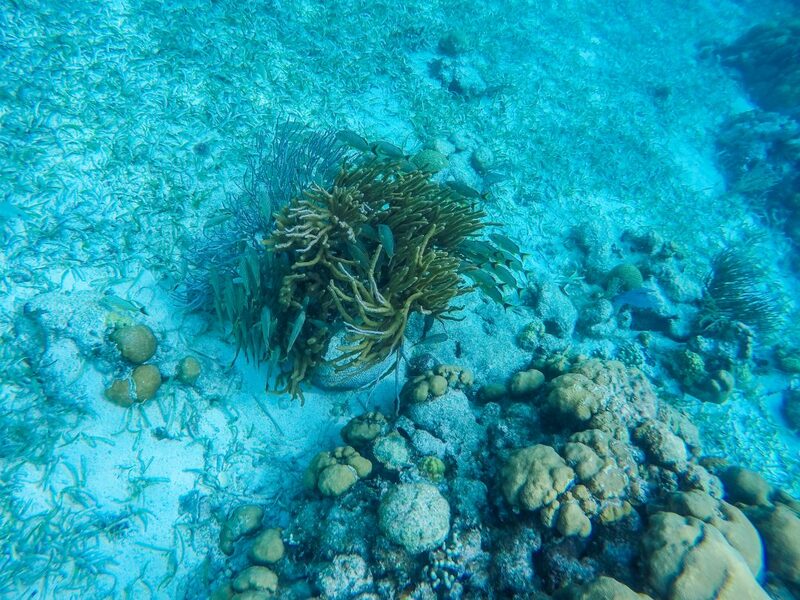 The MesoAmerican Reef needs to seriously step up it’s PR, but I’m here to help in the meantime. 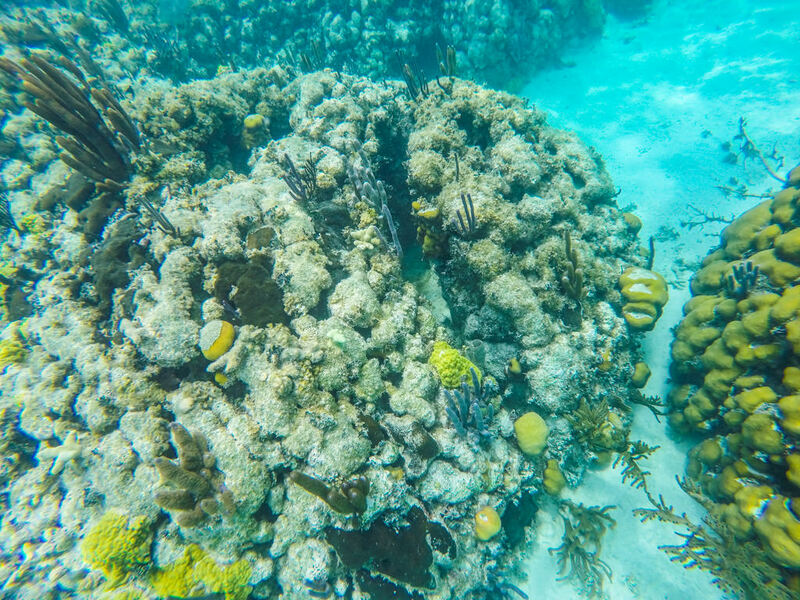 This gorgeous reef, which hosted all of the photos and experienced depicted above, is located within the Caribbean Sea. 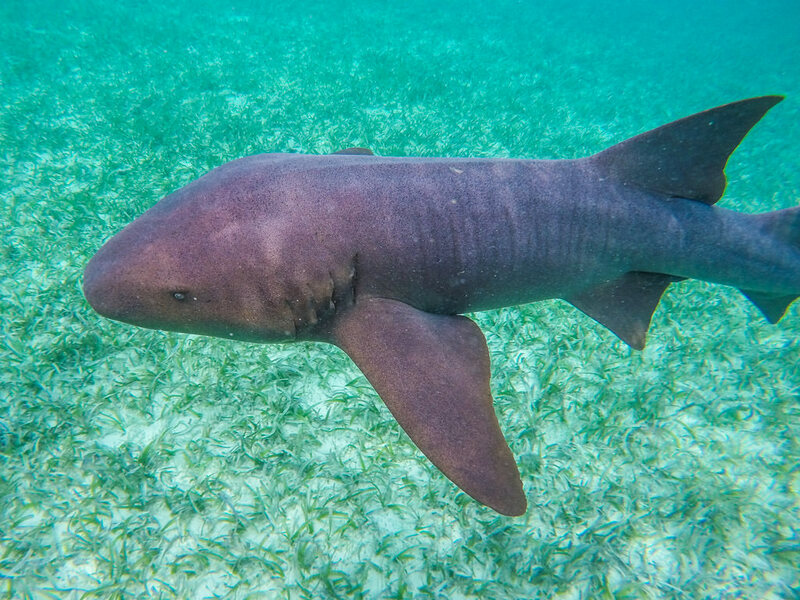 It lies off the coasts of Mexico, Belize, Guatemala, and Honduras, and is almost 700 miles long. 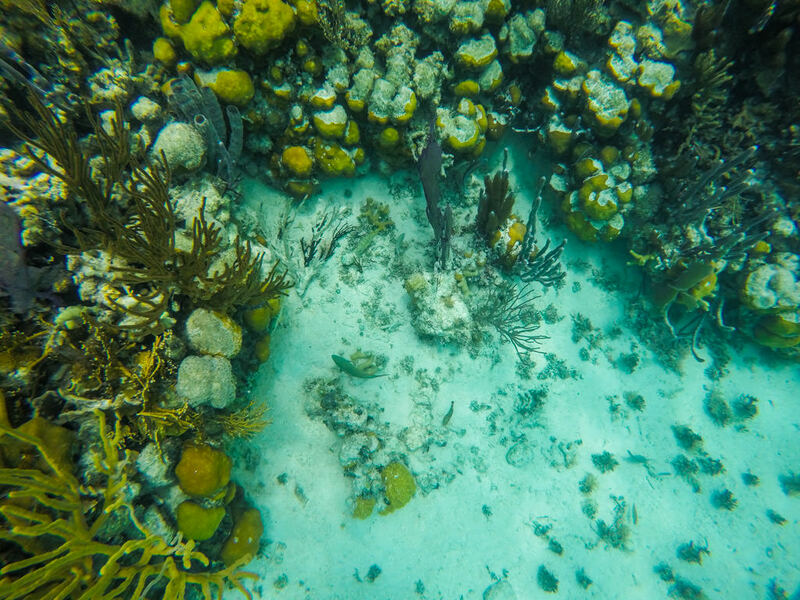 The MesoAmerican reef follows the entire coastline of Belize, in an area known pretty self-explanatorily as the Belize Barrier Reef, which comprises 80% of the entire MesoAmerican reef. 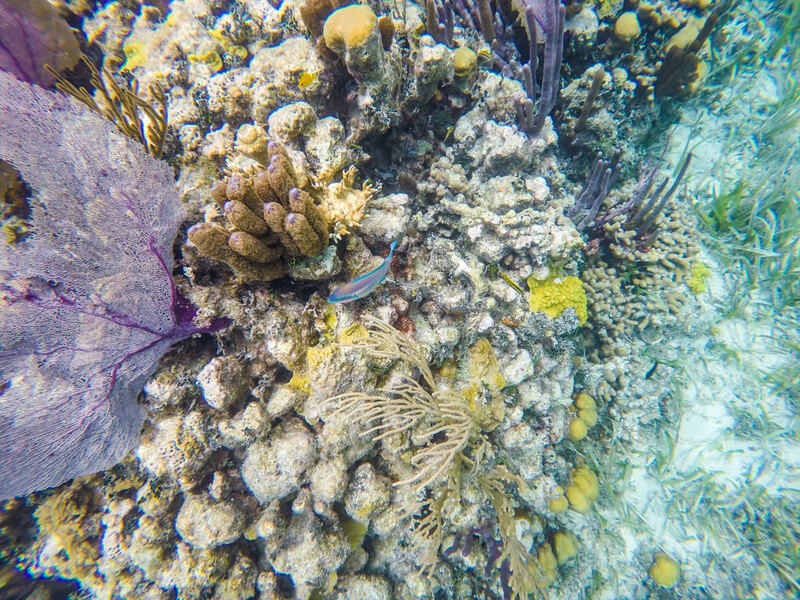 The Belize Barrier Reef is SO awesome (as if my photos above aren’t evidence enough), it’s even been recognized as a World Heritage Site by UNESCO. Unfortunately, the government of Belize doesn’t really think so. 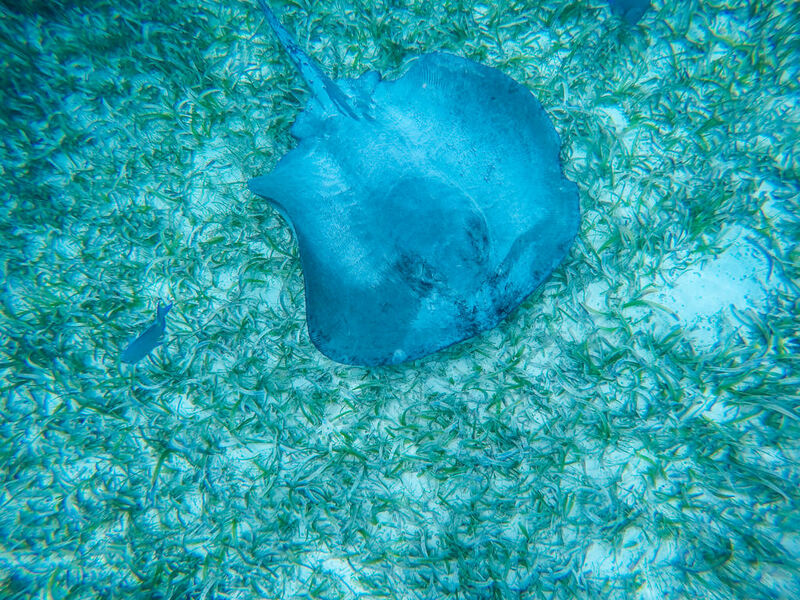 Belize has NOT enacted sufficient protection for the Belize Barrier reef, leaving it vulnerable to the dangers of offshore oil drilling and coastal construction. 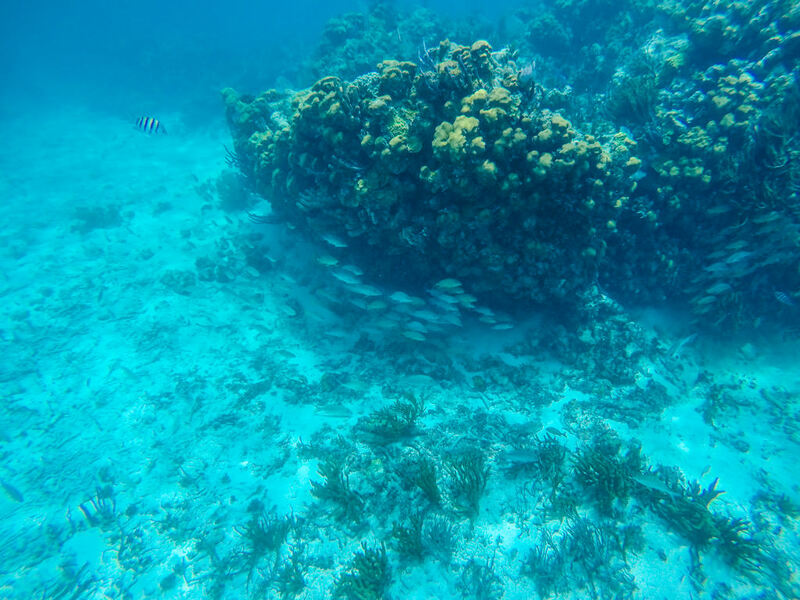 The MesoAmerican Reef (also called the Great Maya Reef, or the Great Mayan Reef) is also facing the threatening impacts of overfishing (especially against the spiny lobster), agricultural runoff, climate change, and irresponsible tourism. 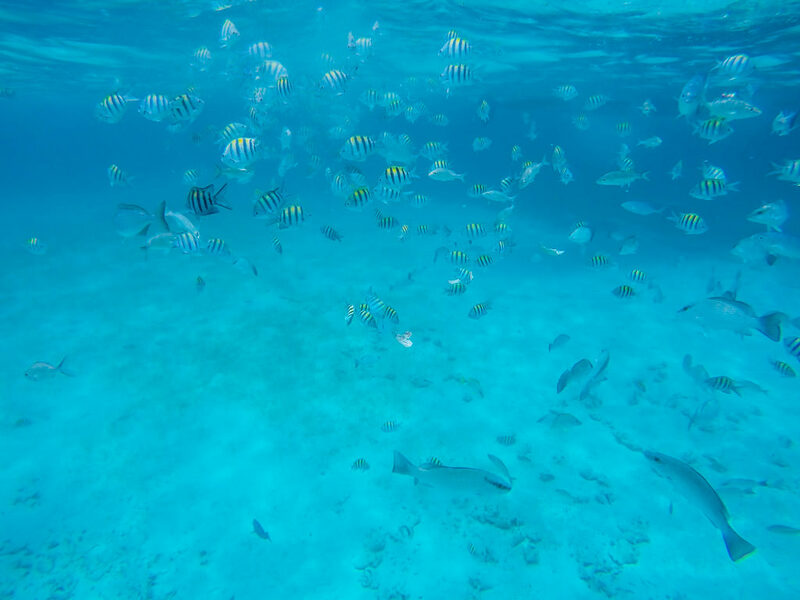 When you choose to visit the MesoAmerican reef, you can keep in mind a few key points to do your part in protecting this incredible natural ecosystem the Americas have been blessed with. Regular sunscreen is full of chemicals and potentially coral-harming compounds. 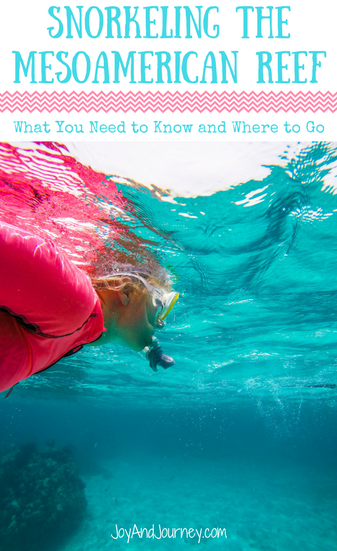 You should ALWAYS choose reef-safe, biodegradable sunscreen when you’re going to be in near proximity to reefs, and the MesoAmerican reef is no exception. To be honest, you should really be going with natural sunscreen for your own health as well. Why rub icky chemicals all over the largest organ in your body? If you’re worried natural sunscreen isn’t effective, you’re wrong. Seriously. But if you can’t get over your fear that natural isn’t as good as chemical, you can also use a sunshirt for extra protection. I was wearing a bright pink one when I went snorkeling at the MesoAmerican reef, and in addition to protecting my back (my non-sun-shirted hubby got fried), I think it looks bright and cheery in photos. This should be a no-brainer but apparently its not. 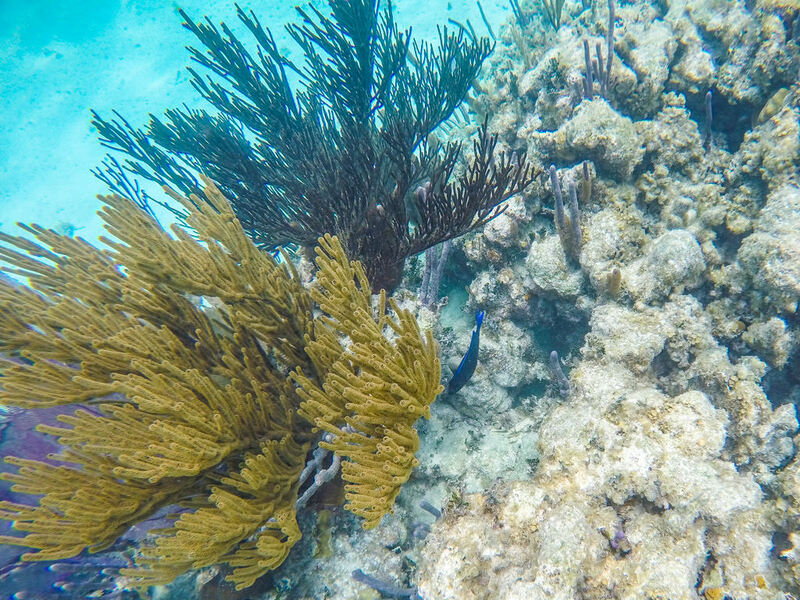 The same chemicals that keep bugs away can damage the ecosystem of the MesoAmerican reef. You’re in the water, you don’t need it anyway. Please also avoid putting on any unnatural creams, sprays, or lotions (this includes makeup foundation), as it will come off in the water. 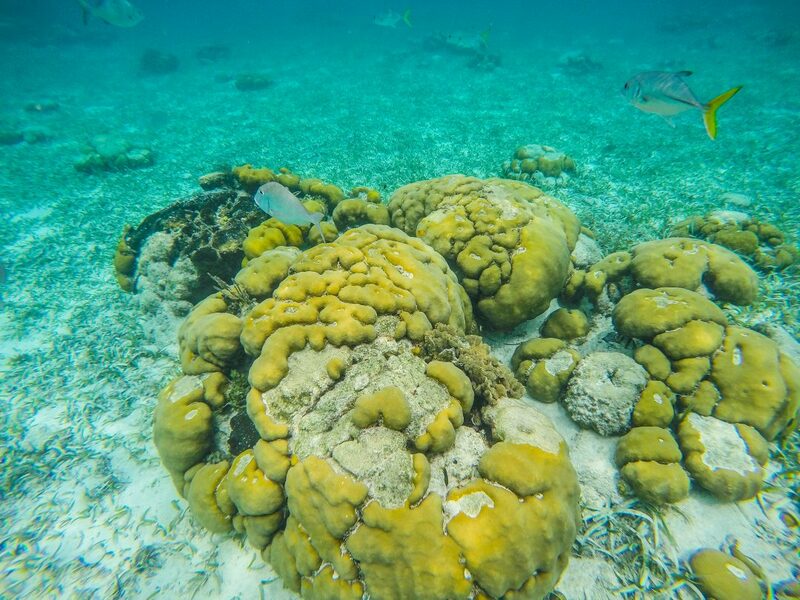 Coral is super sensitive, and the last thing it needs is your big ol’ foot stomping on it. It’s unnecessary. Avoid shallow areas. Don’t use antifog on your mask exterior in the first place (it’ll just wash away), but also don’t use artificial, chemical-filled antifog solution on the interior of your mask and then rinse it out in the ocean water. 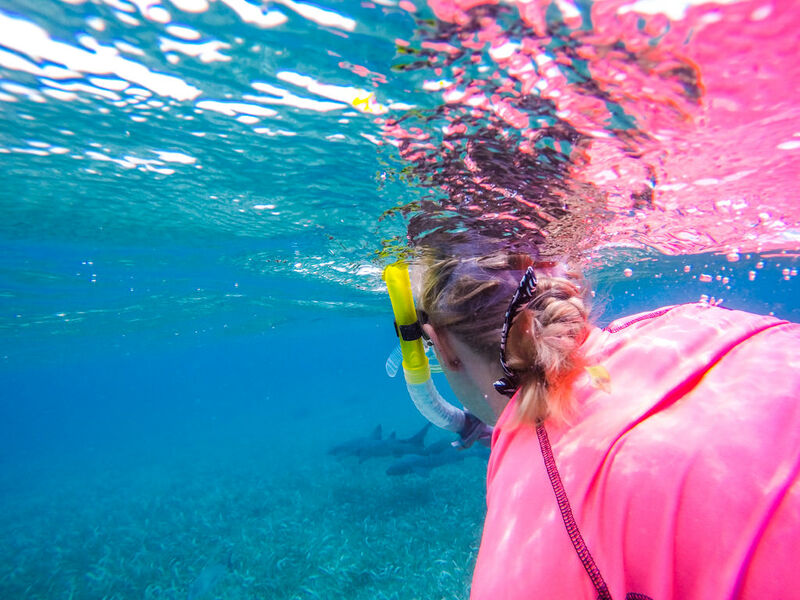 If you NEED to apply something with chemicals to the interior of your mask and then rinse it, do so with water that you keep in the boat and dispose of properly. 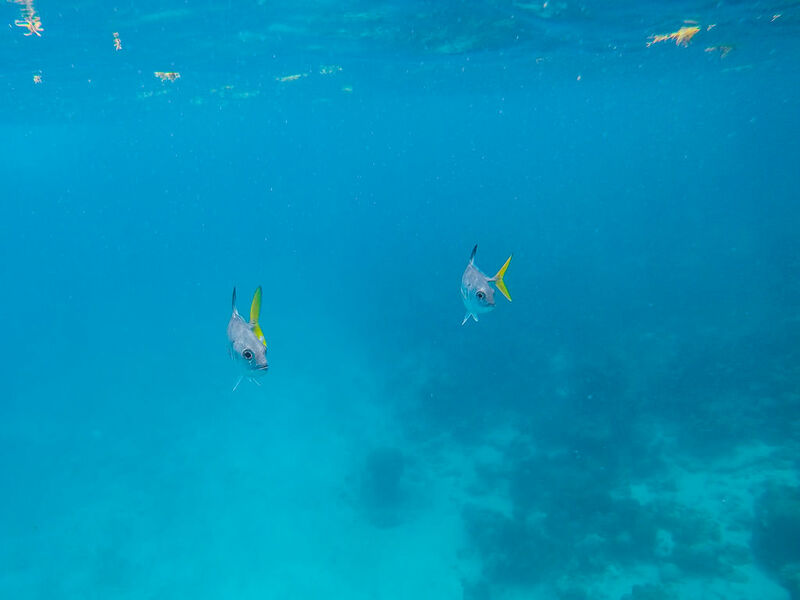 You want to remain horizontal as much as possible with your fins away from the bottom and especially from coral. Fins stir up a lot of water and sediment (think about how much easier it is to swim with them and this will make sense). Don’t work with tour providers that try to save some money and skirt around the rules. 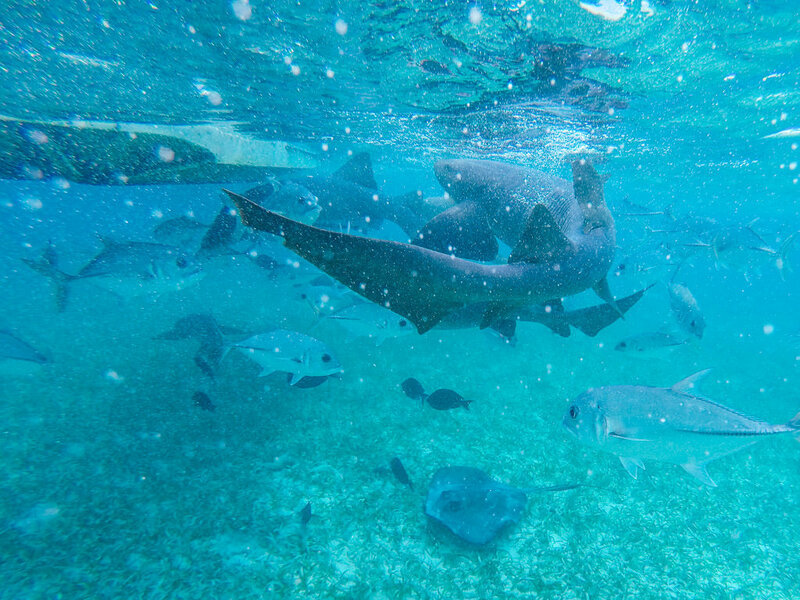 Especially in Belize (and anywhere else that you’ll be entering a protected area), be sure that your tour operator has paid for any appropriate or relevant park fees. Using a local naturalist guide gives money to the local economy while also providing other economic opportunities for former fishermen. Plus, it’s a WAY better experience for you! 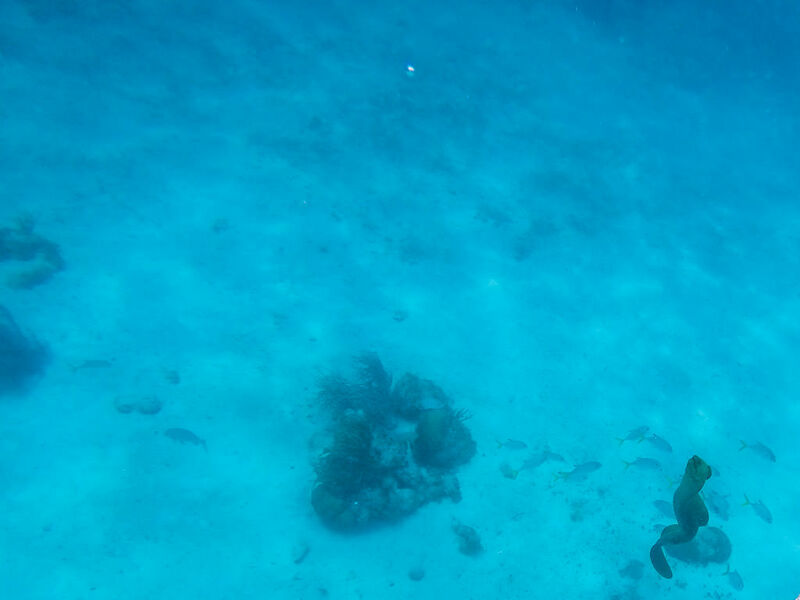 Would you ever snorkel the MesoAmerican reef? Have you already?